Together we discover a new balance in life. Bubbles, my has been a lovely addition to our family which is usually dominated by boys. She is everything that I could have hoped in a daughter, cute, mischievous and entertaining. Now that she is a year old, she is making conversations in her own ‘goo-goo-gaga’ lingo and trotting around. I had totally forgotten that babies can be so much fun, or wait, they are more fun when they belong to someone else :). Raise hands people, if you agree!! It’s amazing to see how every baby goes through the same cycle, but now I know that every sneeze has to be held at sneeze and let it not got to the next stage of a cold or the fever. What I learned from a lot of experience was to contain an illness at it’s first stage. Every cry is not necessarily a hunger pang but that I need to rule out potty, sleep and any other discomfort(maybe it’s too hot or too cold, maybe her favourite toy is missing or maybe she is just being moody) but if the crying is incessant then I need to worry and consult a doctor. With my elder one, I used to call my mom, friends, and the doctor for everything and in that order. I know how important it is that babies sleep for long hours. Two things that worked for me when my kids were younger and work well for Bubbles as well is the fact that we make sure that her last meal is closer to her bed time and that she wears a diaper in the night for sound sleep. When she gets up in the morning she is a happier baby and has a rested mom. 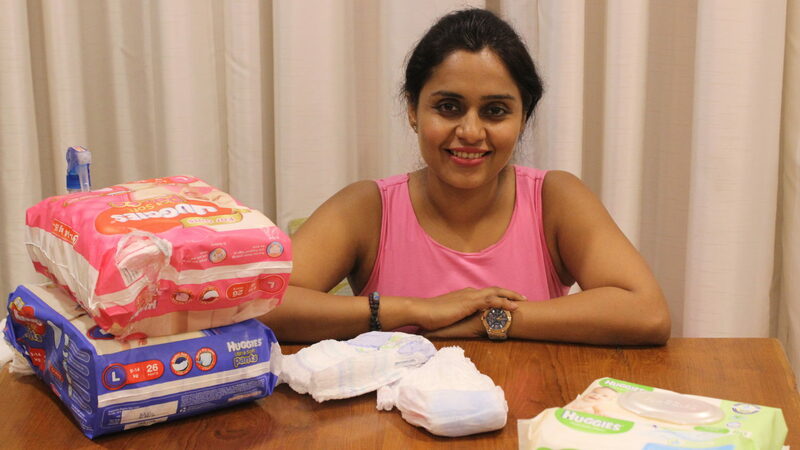 For the first few months after my elder one was born, we used only cloth nappies for him and it was a pain, not only to clean and dry them but also it disturbed his sleeping patterns. Which in turn made him a cranky baby. Bubbles is a diaper baby and I can’t imagine how she could be otherwise with a working mom. There are many schools of thought here but this has worked for us and so we stick to it. When she was just born I made sure that everyone who ever held her used a sanitiser and if anyone wanted to kiss the baby it was on her hands. Even now we don’t let visitors kiss on her cheek. Recently I read about this newborn who developed meningitis due to a kiss from a family member or relative and passed away. It can be as scary as that, though convincing people can be tough as they take offence at times. Thanks to my blog I have attended many workshops which have made me aware of how nutrition is important in a babies life. 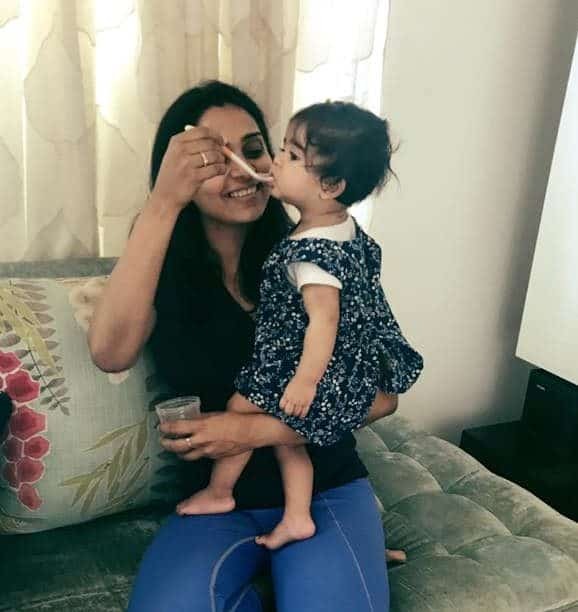 My sister-in-law is a completely hands-on mom when it comes to Bubbles meals but how the right food and nutrition impacts a child up to the age of 2.7 years was something I recently learnt. And while I try and feed her with patience she already is developing a palette which defies a few healthy food items. Babies also have a strong mind! I realized caring for a new baby girl or a baby boy is not that different and thank God for that. 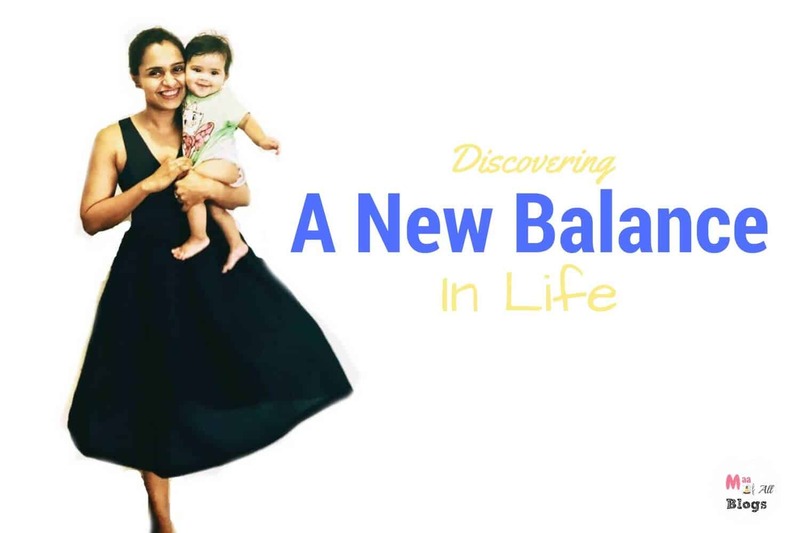 I am sure the equation will change a lot as she grows but for now, I am enjoying this phase and this new balance in life. I get to spend very little time with her but it really is therapeutic. As an older mom do you go all gooey over a baby too and miss the phase when your baby was that young? Or is it just me? CALADRYL Diaper Rash Cream Review: Delivers As It Promises! Of Grandmas And Grandsons ! !